" Huell Howser and PBS visit The Ridge Route"
Did you miss Huell Howser's one hour program on the Ridge Route? 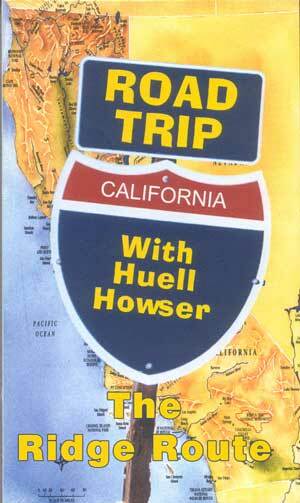 "Road Trip With Huell Howser to The Ridge Route" is now available for online purchase. From Bakersfield area, take I-5 south. Exit at Hwy 138 heading toward Lancaster. After passing Quail Lake watch for the "Old Ridge Route" sign and turn right onto the 1915 Ridge Route. You climb up hill passed PINE CANYON intersection to the unmaintained portion of road. Your trip ends in Castaic or you can elect to turn right at Templin HWY to access the I-5 FWY.